It’s been a long week. Between the weather, work and an Angels 10 day home stand. I am a little tired. So as I sit here on the train headed to work. I hope today goes by fast. I can’t believe it’s my 5th post this week. I don’t know why I haven’t been posting as much as I have wanted to. I’m not one to complain about not having time. I can easily post on the train when I’m going to work or going home. I might just try to take advantage of that. Like I said in a post earlier this week, I want to do a do’s and don’ts about riding the train. Metro Monday? LOL. Did I mention I’m tired? Ha! Not tired enough to go see this guy play tonight. 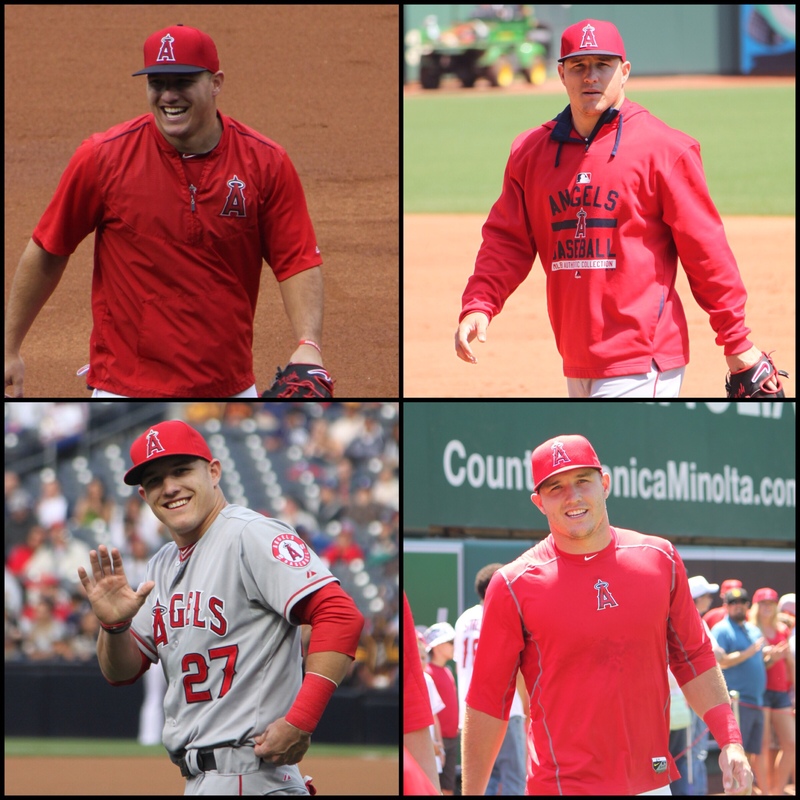 Bottom left picture, YES Mike Trout was waving at ME!!! I thought he was waving at a somebody behind me, so I turned around and there was nobody there. Like a true fan girl I wanted to flip out and yell I LOVE YOU MIKE TROUT. But I didn’t. I kept taking pictures and he kept waving! Happy Friday. Have a good weekend.